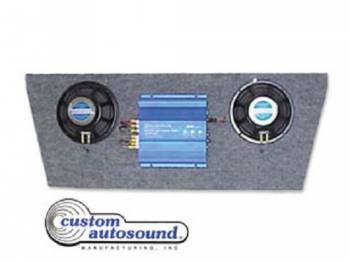 Want to add speakers in the trunk. This unit goes in place of the trunk divider board. Comes with 2 speakes and amp.